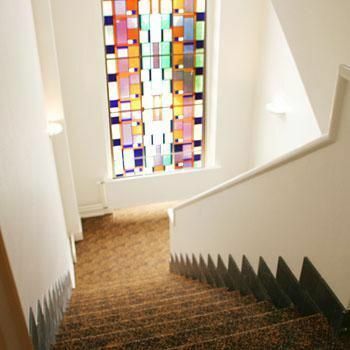 This is a good product in the bustling "Pijp" area of Amsterdam and comes highly recommneded. 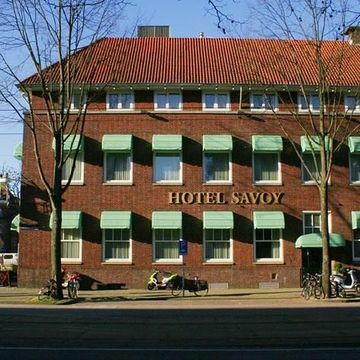 Ideally located in the "Pijp" district of Amsterdam, the Savoy may be found amongst the myriad of shops and restaurants on the fashionable Ferdinand Bolstraat, close to the Heineken brewery, the Rai congress centre, the Albert Cuyp market, the Rijksmuseum and the city centre of Amsterdam. 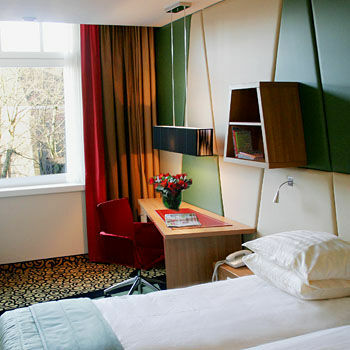 The bedrooms are medium to large in size and decorated in a striking black, red and green colour scheme. 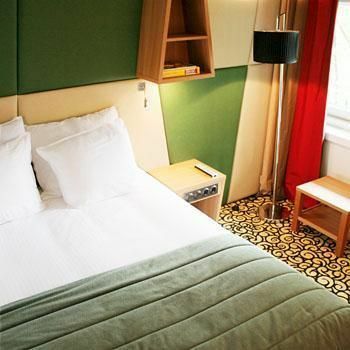 Art deco in style with faux leather headboards, desk with leather office chair, air conditioning and moveable, swivel televisions, the bedrooms are in very good condition and offer luxury accommodation and even offer electronic beds (the head and legs may be raised by remote control). 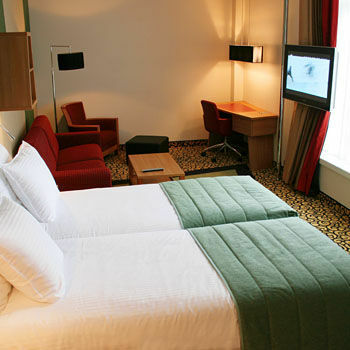 The bathrooms are also very nicely done with white, grey and blue decor and are predominantly shower only. This is a traditional building and it is easy to walk past it as it does not resemble a hotel but there is a green awning above the entrance. 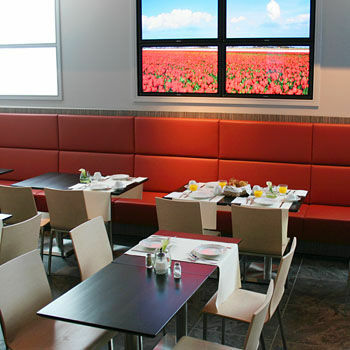 Due to its location, there is no restaurant, however, the hotel serves a hot breakfast buffet in the breakfast room located on the ground floor. 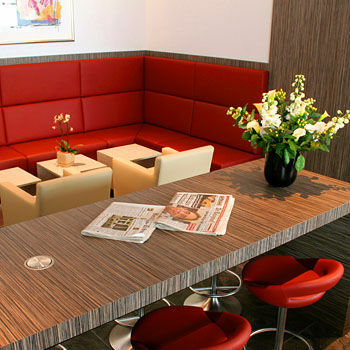 This is a very large room with large TV screens, a communal breakfast table as well as individual tables, and tea and coffee is available throughout the day. Small snacks are available throughout the day, also.. 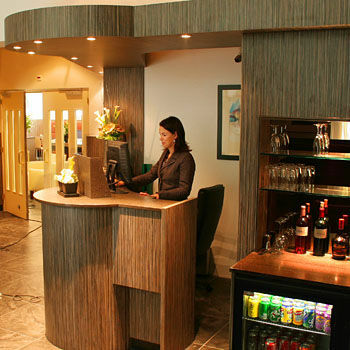 The reception area is very small but adjacent to this is a lobby area with seating, a drinks bar, magazines etc and is very welcoming.